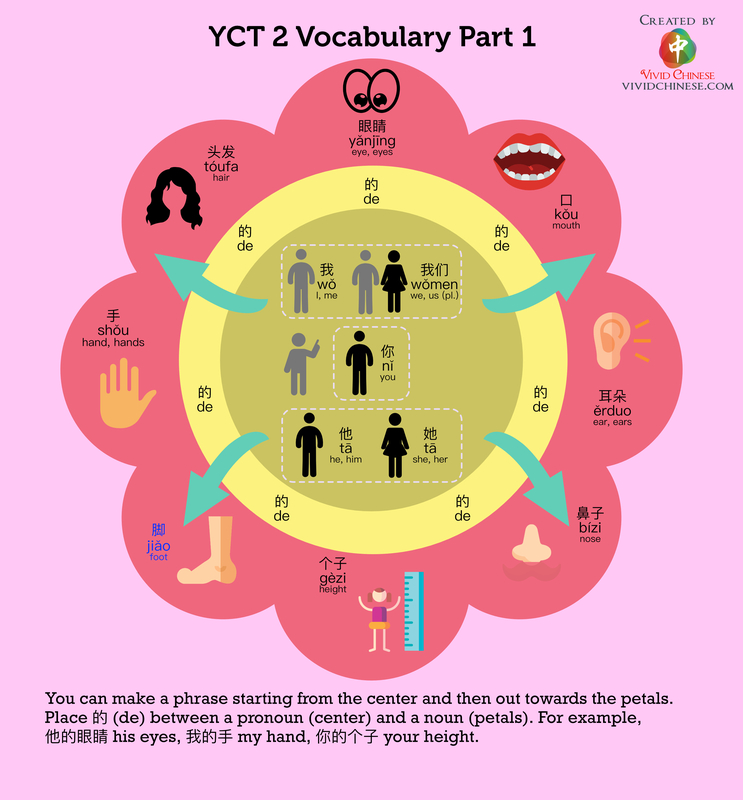 In this YCT 2 Vocabulary (Part 1) infographic, we included ~15 words. We’ve set these vocabulary in two groups and a connector word. The first group (center) includes 我 wǒ I/me 你 nǐ you, 他 tā he/him, 她 tā she/her and 我们 wǒmen we/us. 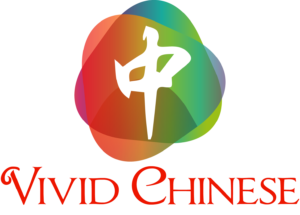 The second group includes 手 shǒu hand, 口 kǒu mouth, 眼睛 yǎnjīng eye, 头发 tóufa hair, 耳朵 ěrduo ear, 鼻子 bízi nose, 脚 jiǎo and 个子 gèzi height. The connector word is 的. You can make a phrase starting from the center and then out towards the petals. 他的眼睛 his eyes, 我的手 my hand, 你的个子 your height.